This is a legacy webpage (originally from 2005) celebrating my career as a costume designer for theatre, dance, and film, from 1989-2009. I'm keeping my portfolio online - there are some proud memories there. I have continued to work as a technical costumer at Vassar College, while also managing the college's collection of historic clothing, but I "retired" from costume design in 2009. At that time, I began actively pursuing a new passion: work with digital collections of cultural heritage materials, from libraries, archives, and museums. In 2012 I began my second Masters program, complementing my MFA with an MLIS at Syracuse University's School of Information Studies. My current work is highlighted at ardenkirkland.com - please visit and find out more! 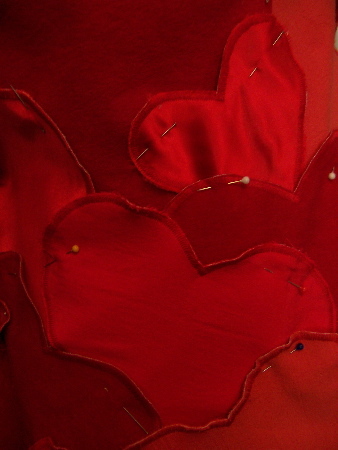 "Hearts with Pins" from Arden's "Heart Bodice,"